Emojis connect people across borders and languages. As diversity and unity are currently at stake not only in Germany, Samsung launched the “Land of Emojis” campaign to depict Germany as a modern, colourful and inclusive society. The corresponding app turned selfies into individual emojis and, in so doing, gathered Germans of all kinds around a truly iconic message of positivity. In an easy-to-understand manner, the app allows users to generate their own customised emojis set, covering around 50 different emotions. An algorithm automatically transforms the selfies into charming, comic-like icons which, being as individual as the users themselves, are fun to create and send. On the symbolic date of the national Day of German Unity, all user-generated emojis were presented in a spectacular public live projection mapping on Berlin’s iconic Brandenburg Gate, creating a huge and powerful sign of diversity in Germany. 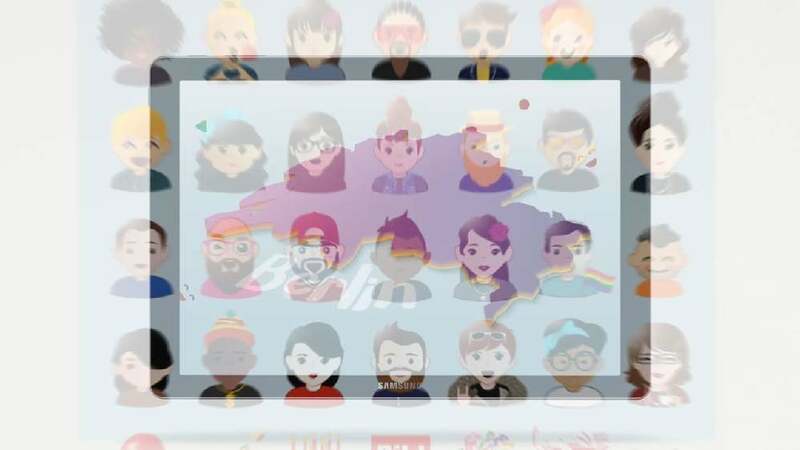 The special contribution of the app and online campaign “Land of Emojis” rests in its social aspect. In order to promote both the importance of diversity and its own brand image, Samsung has integrated people through an app that turns selfies into emojis – the symbols of cross-border understanding. The idea and the campaign were well received and created a lot of attention to both the featured issue and the brand.